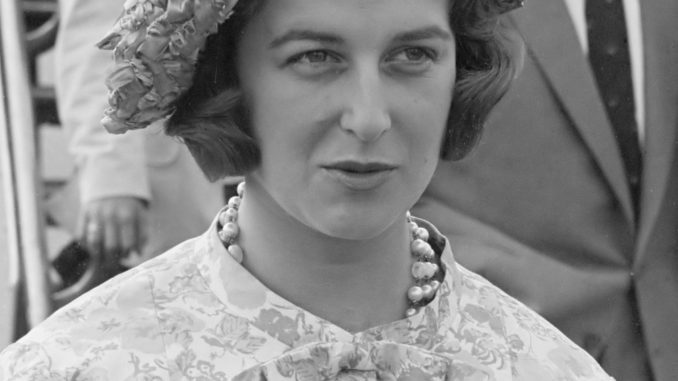 Princess Alexandra of Kent was born on 25 December 1936 as the daughter of Prince George, Duke of Kent, and Princess Marina of Greece and Denmark. She was born just after the abdication of her uncle, King Edward VIII and the accession of another uncle, King George VI. Her grandmother, Queen Mary, commented, “The only nice thing to have happened this year.”1 At the time of her birth, she was sixth in the line of succession. The following year, on 9 February 1937, she was christened in the old chapel at Buckingham Palace. The chapel was completely destroyed during the Second World War, and so she was the last royal baby to be baptised there. Alexandra joined her elder brother Prince Edward in the nursery, and the two children were cared for by their nanny, Ethel Smith. Their family was meant to move to Australia as her father was to be appointed Governor-General, the Second World War ended all those plans, and Alexandra was destined to grow up in the shadow of war. Her father was first a Rear-Admiral stationed in Scotland, and later a Welfare Officer attached to the Inspector-General of the Royal Air Force. Her mother worked as a nurse and later became a Voluntary Aid Detachment. She managed to keep her identity a secret for quite a while as “Nurse K.” She even curtsied to her own husband when he paid an official visit to keep her identity a secret. She retired from nursing not long after her identity was revealed, as she was expecting another baby. Alexandra’s second brother Prince Michael of Kent was born on 9 July 1942. On 25 August 1942, Alexandra’s father was tragically killed in an aeroplane crash. Alexandra’s mother was devastated but took up royal duties again ten weeks after her husband’s death saying, “I am just one among thousands of war widows.”2 Princess Alexandra spent the rest of the war at Badminton House with Queen Mary where she was described as a rebellious and “impossible” child.3 As she grew up with two brothers, she turned into something of a tomboy. She took up horse riding and cared for several animals. As the war came to an end, her mother decided to send her to school, that is to say, a group of appropriate children were chosen to form a school class, and Alexandra and her brother Edward attended. It was not easy growing up as her mother told her, “You are not a girl, you are a Princess.”4 A private tutor was then hired for the rebellious Princess and her tutelage, Alexandra matured noticeably. She was then sent to Heathfield, a boarding school, to socialise with girls her age and to able to study a wider range of subjects. On 6 February 1952, Alexandra was told by her headmistress that the King had died and that her cousin Elizabeth was now Queen. Later that year, Alexandra was given her first official position as Patron of the Junior Red Cross. She would return to Heathfield for one final year. Shortly before her cousin’s coronation, Queen Mary died and Alexandra, who had viewed her as a second mother, was devastated. The coronation was not to be delayed and so Alexandra took part in it as well. Shortly after, it was decided that Alexandra would begin official duties. She was still only 16 years old. It was a daunting prospect for a Princess who did not enjoy the limelight. It went well until she dropped the teacup she was holding, and she was horrified and tried to pick the pieces up herself. It was a bad start to public life, and she was sent to a finishing school in Paris for six months. It was a great choice, and she returned to England at Easter 1954 a self-confident young woman. Upon her return, she was given a lady-in-waiting of her own, Lady Moyra Hamilton, the daughter of the Duke of Abercorn and only six years older than her. Royal duties now became more frequent, and with each engagement, she improved. The family now moved into Kensington Palace and they each had their own bedroom and sitting room. Alexandra enjoyed living at Kensington Palace, and it would be her home for the next eight years. Her 21st birthday was celebrated with a ball at Kensington Palace early in the new year as her birthday falls on Christmas day. Her future husband was also in attendance, but they did not lay eyes on each other. During several overseas tours, Princess Alexandra proved herself a valuable member of the royal family. Romance too was on the cards, and she quietly and discreetly carried out a relationship with The Honourable Angus Ogilvy, the second son of the 12th Earl of Airlie, for eight years until they announced their engagement in 1962. Her mother had hoped for a better match for her daughter and had introduced her to several young royals in the year preceding the engagement. Angus was eight years older than Alexandra, but to her, it didn’t matter. On 29 November 1962, Kensington Palace officially announced the engagement and the following day, she and Angus posed for photos in the garden at Kensington Palace. The wedding date was set for 24 April 1963, and they married at Westminster Abbey. The newlyweds took up residence in Thatched House Lodge and just three months after the wedding, Alexandra discovered that she was pregnant. It was a busy time in the royal family, as the Queen, Princess Margaret and her new sister-in-law the Duchess of Kent were also pregnant. She gave birth to her first child on 29 February 1963, it was a son named James. She commented on the date, “It’s bad enough me having my birthday on Christmas. I didn’t want my poor child only to have birthdays every four years!”5 A daughter named Marina was born in 1966. Just two years later, Alexandra’s mother died of a brain tumour; she was still only 61. Alexandra was devastated by the loss. Princess Marina was buried next to her husband. Alexandra threw herself into her work, and she has since remained a valuable member of the royal family. As the years aged her, she slowed down somewhat. 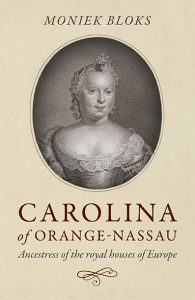 Her husband, who had refused a title upon marriage, was knighted in 1988. Her children married and gave her four grandchildren. She is still the patron of several charities and continues to work. She was widowed in 2004. A fascinating and very informative site. I have learned so much and I am so glad I found you and your wonderful knowledge of so much. Thank you for sharing this with the public. As an anglophile by nature (how can one not be if descended from the Duke of Marlborough), I am so glad I have found this site. I find it very interesting and informative. Thanks for sharing. !